Red Sand Project uses participatory sidewalk interventions to create opportunities for people to question, connect and take action against human trafficking. 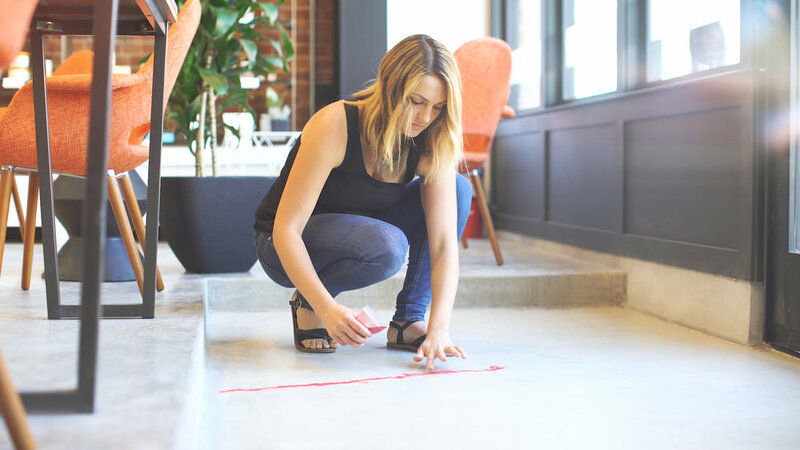 Using a small, pre-assembled tool kit, Red Sand Project’s sidewalk interventions invite people to find and fill a sidewalk crack with red sand and document their sidewalk transformations on social media using the #RedSandProject hashtag. The Coalition is proud to have partnered with city leadership throughout the county to bring Red Sand Project to their communities. As we spread sand during these events, we also have offered our Human Trafficking 101 training to the hosting community, providing an opportunity for even deeper learning about the issue.